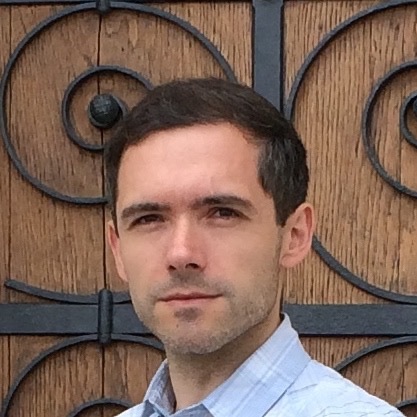 Dr. Zvonimir Nagy, Assistant Professor of Composition, was recognized for one of his compositions this past summer at the 2016 Bruno Maderna International Composition Competition in Lviv, Ukraine. His work, Angel Annunciation (2012) for cello and piano, received a special mention in the competition. The piece was selected for the final round along with other 10 compositions taken from the larger pool of composers worldwide who submitted their compositions. The piece was performed by Nataliya Martynova, piano and Denys Lytvynenko, cello, at the Lviv Philharmonic Hall in July 2016. As a part of the recognition, the piece will be released on the upcoming CD featuring other awarded compositions, and published by the Italian publisher, Aldebaran Editions. Dr. Nagy says that this work, "...was inspired by writings of the French philosopher Jean-François Lyotard (1924-1998): ‘...it is an angel. It announces nothing; it is in itself an annunciation.' The piece was dedicated in memory of my first composition teacher, Marko Ruždjak (1946-2012)." Dr. Zvonimir Nagy is a Croatian-born composer and music scholar. His creative and scholarly work extends into interdisciplinary contexts and perspectives on musical creativity and sound studies, forging connections between music composition, theory, psychology, technology, and performance. Nagy's compositions are informed by embodied music cognition, while recent works are influenced by post-minimalism and spectral music. He is the recipient of composition awards such as the Seattle Symphony Composition Prize, the Iron Composer Award, the Swan Prize in Music Composition from the University of Minnesota, and the Croatian Music Institute Award. He has also written for and received commissions from the Seattle Symphony, musicians from the BBC Scottish Symphony Orchestra, the Boston Choral Ensemble, Alia Musica Ensemble, Reed III Ensemble, First Reading Project Ensemble, Triano Quintet, Trio Jónio, and JACK Quartet, among others. A selection of his instrumental music is published by Musik Fabrik Edition (France), and selected vocal and organ works are available through Paraclete Press. Vestiges, a CD recording featuring works for solo piano is available on the MSR Classics label. A video recording of the performance by Martynova and Lytvynenko can be found here, and more information on the Bruno Maderna International Composition Competition can found here.